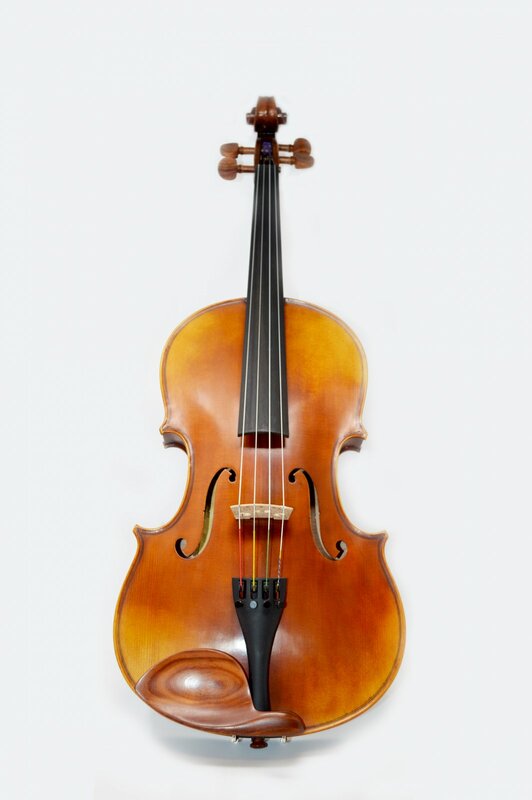 The Scott Cao 16" Viola is made of Chinese maple (moderate flame) and spruce, and has an Indian ebony fingerboard, Indian rosewood pegs, chinrest, and tailpiece. Four fine tuners. Built and varnished in Guangzhou. Comes with bow and case.